Moncton, – Fisheries and Oceans Canada (DFO) announced the dates of the closure of angling during the striped bass spawning period in 2018 in a portion of the Northwest Miramichi River. The Northwest Miramichi River estuary is the only confirmed successful spawning ground for striped bass in the entire Southern Gulf of St. Lawrence (SGSL), as established by DFO science. The closure of all angling in the area and during the time when the striped bass are most concentrated and actively spawning aims at ensuring the best success of spawning activities and the continuous health of the Striped bass stock in the sSGSL. With the exception of the area described above, the recreational fishery will remain open throughout the Miramichi River system during the striped bass spawning period. 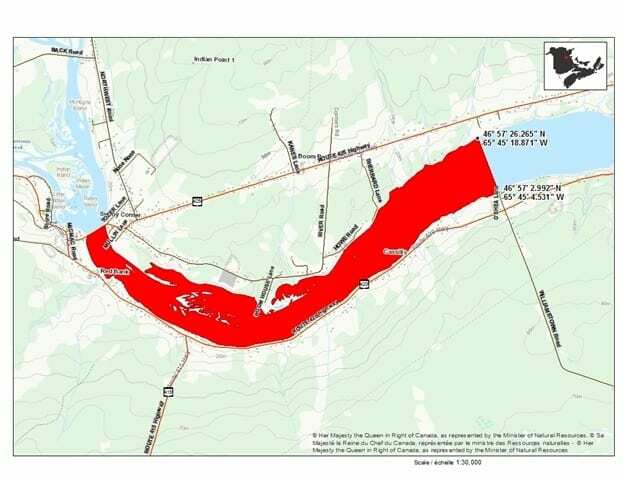 The post Striped bass spawning ground angling closure in the Northwest Miramichi River from June 4 to June 8, 2018 appeared first on Miramichi Salmon Association.